Weather aside, has been a great start to the Year 2015. Many of us are closing the books on 2014, sighing a sigh of relief (or regret) and waiting in anticipation for a “great” 2015. This is the time for making resolutions about going back to the gym, starting that diet, or spending less time behind a desk. Why not make another resolution? Make a resolution that helps you improve your professional self. Be more informed in your profession. Learn something to help improve your personal life. Meet new people within your profession and renew old acquaintances. You can accomplish all of this by stepping up to be an active ALA Capital Chapter member! You’ll enjoy yourself, improve yourself, and meet some very interesting folks. ALL IN is back for 2015! 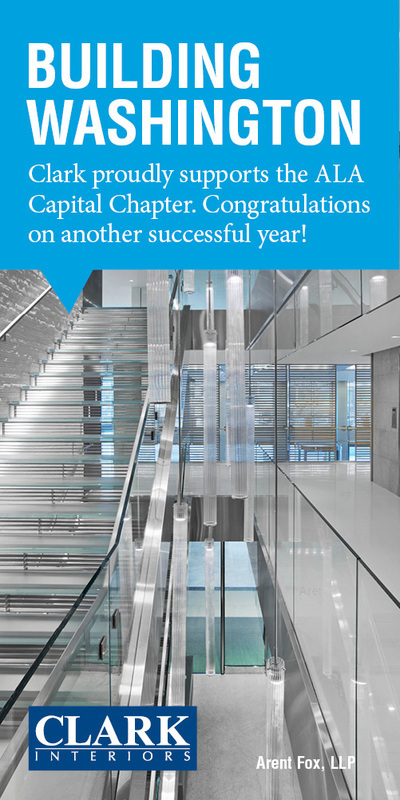 All you have to do to start competing for awesome prizes is participate in the Capital Chapter this year. It's that easy! See below for game rules. Set/Follow Alerts – Most productivity tools, like Outlook, as well as all mobile devices, have alert functions. Use them and obey them. Set an appointment reminder at least 15 minutes prior to its start. When the alert sounds, finish up the current task, grab what you need and head that way. Do NOT start on a new task thinking there’s plenty of time. There isn’t. Anticipate Transition Time – We are all optimists. We routinely underestimate how long things will take, including how long it will take to get from one meeting to another. If an appointment is outside the office or even on a different floor, leave plenty of time for inconvenient transition events – traffic, busy elevators, etc. It’s always better to be slightly early, than slightly late. In addition to sending a positive message to others, you’ll experience less stress. Hard-Schedule Open Intervals – Another mistake many make is scheduling appointments back-to-back. Like Dominos, when one meeting runs long, the entire schedule tips over towards lateness. Hard-schedule small breaks between each meeting – as little as 15 minutes – right on the calendar. This builds a cushion into every meeting and allows us to gather our thoughts and check in with other activities between appointments. Make a commitment to be on time, regardless of what other people do. It demonstrates better leadership while respecting others, and until everyone’s on time all the time, you might also get some extra work done while waiting for them! Paul H. Burton is a former corporate finance attorney who helps people regain command of their day. As a nationally recognized time management expert, he regularly speaks to audiences about getting more done and enjoying greater personal and professional satisfaction. Paul is the author of five books on individual and leadership productivity. You can learn more about Paul and his practice at www.quietspacing.com. Opening Soon: Dr. Dale Henry! 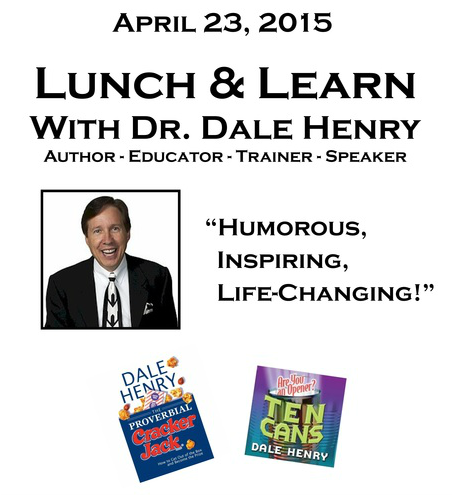 Click here to preview videos of Dr. Dale Henry! 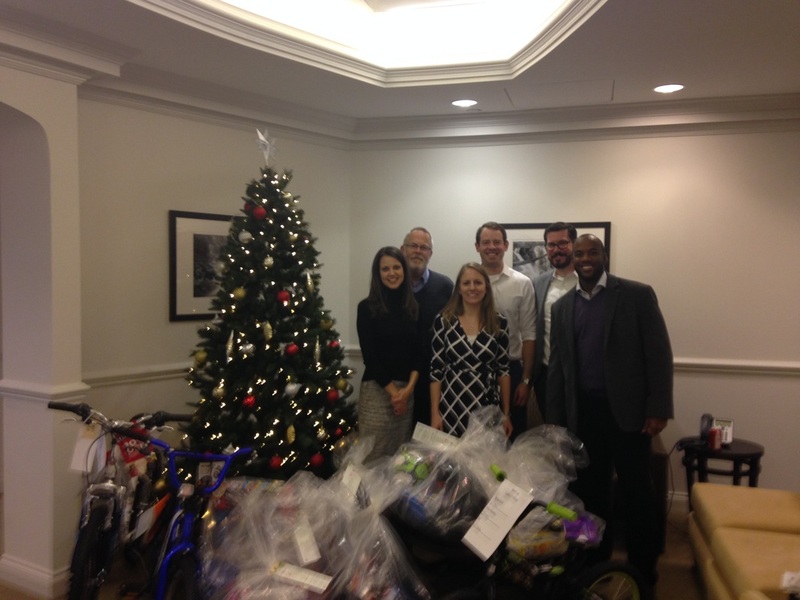 For the 8th year, the Washington, DC and Northern Virginia offices of Littler Mendelson participated in the Salvation Army Angel Tree program through the ALA Capital Chapter. They sponsored 40 children, providing new clothing and toys. 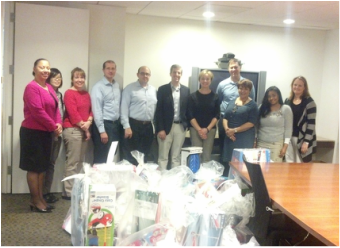 The offices celebrated with a gift packing party and fun was had by all. ALA has reviewed its CLM policies and some significant changes that are now in effect! Lunch presentations will now be accepted for CLM credit. Most everything counts for CLM recertification, but some may also count for the Application. To determine what counts for CLM application credit, please see instructions here, but you can always confer with ALA staff at certification@alanet.org. Lastly, the online study program is finally here and registration is now open. Good for anyone who wants a refresher course on Human Resources, for 18 hours of CLM Recertification credit, 2 hours of Writing Skills for CLM applicants, or for potential CLM applicants as part of their CLM study resources. 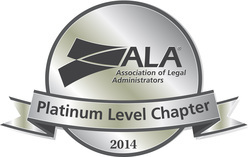 Additionally, one can earn all 10 hours of CLM application credit through ALA webinars.